Packing always reminds me of the story of Goldilocks and the Three Bears. 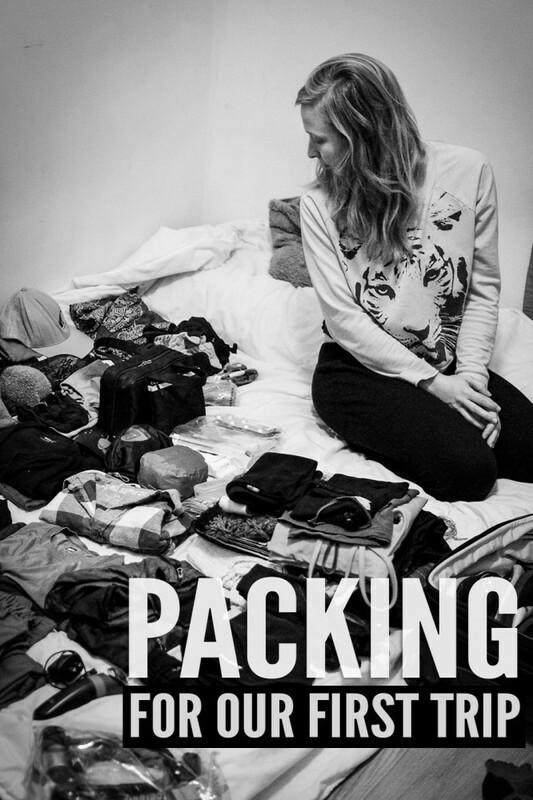 You don’t want to pack too much, since lugging a heavy bag around while traveling is no fun. But you also don’t want to pack too little. It’s hard to decide what to bring and what to leave behind. And when you’re heading abroad for three months to places with vastly different climates (as was the case for us in March), it gets even harder. Below is a complete list of what we decided was worth bringing along for our first three-month trip overseas. I’d like to say we got it just right, but there were a couple things I wish we’d thought to bring. And though we packed pretty light (one carry-on bag for each of us) there were a few things we actually ended up ditching during our travels (more about those items below). *After over a year of wear, Ian replaced these shoes with an even better alternative. As you can see, the list of things we ditched is much longer than the stuff we missed. My recommendation to anyone packing for a trip that involves moving around at all is to pack as light as possible. My new rule of thumb for packing: If I’m not absolutely positive I will use it, I don’t take it!